On trial these days for crimes against humanity is gluten, a protein in wheat. Trendy restaurants are printing new menus with gluten-free options, and supermarket customers are flocking to the safe haven of the gluten-free section. While sufferers of celiac disease have long managed to avoid that almost-unavoidable staple of the Western diet — wheat — many have joined the ride with claims that they, too, feel better and think more clearly after cutting back on wheat products. Gluten is just one of many proteins in wheat, and it’s responsible for giving pasta and bagels their sticky, chewy texture. By the 1950s, scientists had discovered that one of gluten’s subunits, gliadin, is behind the gastrointestinal issues for sufferers of celiac disease, an autoimmune condition in which gliadin triggers the body to attack the small intestine. But could gluten be responsible for much more? The gluten-free diet has recently become a fad, fueling an equally popular trend of mocking its adherents. By the time gastroenterologist Peter Gibson found evidence in 2011 for the benefits of a gluten-free diet for some non-celiac individuals, the gluten-free market was already a runaway $10 billion success galloping further and further away from celiac territory. In his experiment, Gibson used a randomized and double-blind study to show that gluten could cause bowel symptoms in non-celiacs with reported sensitivity to gluten. The subjects ate wheat products with or without gluten, and those eating gluten experienced more bloating and fatigue. His was the first scientific evidence in support of the community that claims to have non-celiac gluten sensitivity (NCGS), a condition in which gluten causes symptoms that run the gamut of chronic ailments — including fatigue, headache, foggy mind, depression, skin rash, diarrhea and bloating — in people without celiac disease. Yet both researchers and non-scientists debate the evidence that NCGS even existed: NCGS is hard to diagnose, and studies rely on subjective and ever-changing criteria. When patients show cognitive and physical improvement after cutting wheat products from their diets, doctors can only conclude that their patients react badly to wheat, but can’t pinpoint a particular wheat component like gluten. In fact, two years later, Gibson’s research took a 180-degree turn, when the scientist himself believed that something more sinister was behind NCGS the whole time. In his new experiments, he used different controls to show that it was in fact the indigestible sugars in wheat, or fermentable short-chain carbohydrates (FODMAPs), that were really causing the problems that most non-celiac people experienced when eating wheat. FODMAPs linger in the guts of some people, where they delight feasting bacteria. While fermenting these sugars, the bacteria release gas, and bloating and gastrointestinal discomfort ensue. Gibson found that his experimental subjects didn’t show symptoms to gluten once he removed fermentable sugars from their diets. “When you decrease FODMAPs, 75 percent of people with bowel symptoms are better,” he said. Suddenly the whiplashed world of NCGS research was divided into scientists who believed that sugars are the real problem and those who didn’t believe in exonerating gluten just yet. Critics of the gluten-free fad used Gibson’s second study as ammunition, with the media onboard creating headlines for stories attacking non-celiacs who have gone gluten-free. But Gibson thinks the backlash has gone too far. “A lot of people have seen it as validation that people who’ve gone gluten-free are crazy,” Gibson said. “But that’s not right.” His study didn’t disprove NCGS so much as show that more people suffer from FODMAP-related symptoms. Yet Gibson’s second study has its critics as well. David Sanders, a gastroenterologist at Royal Hallamshire Hospital in Sheffield, England, said Gibson’s clinical trials had a major confounding variable: “The subjects all knew that harm would be done to them during the study.” They volunteered for the study thinking they had NCGS and knowing that they would receive no gluten, a small amount of gluten or a large amount of gluten during the experiment. “If you know there’s a pretty high chance of being exposed to gluten and you have entered the study knowing you have symptoms, that’s a placebo response,” Sanders said. Besides debating whether gluten or FODMAPs are the cause of NCGS, scientists also struggle to understand why wheat-intolerance could be a modern-day problem. Those who argue that wheat can be bad for us have evolutionary theory behind them. 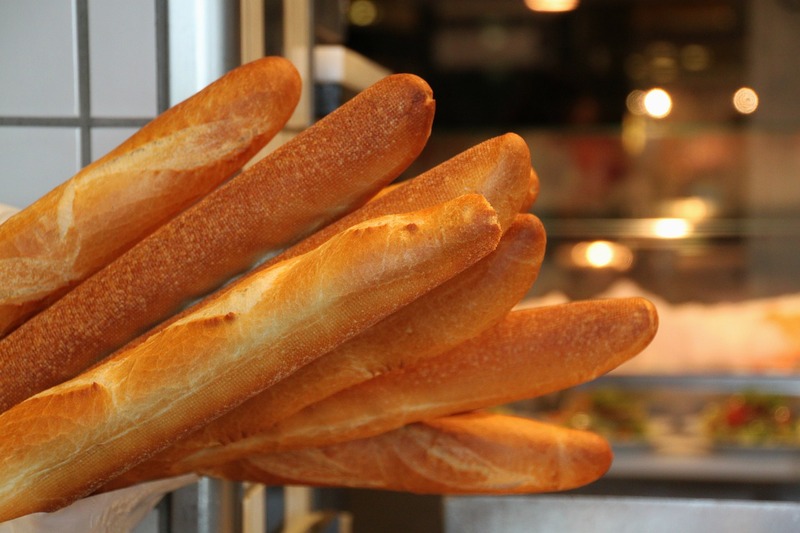 “We didn’t evolve as a species to consume gluten,” Fasano said. “For 99.9 percent of the time our ancestors were on Earth, they were chasing animals, not settling and growing crops,” such as modern gluten-laden grains. The relatively recent addition of gluten to our diet, with the advent of agriculture about 10,000 years ago, has presumably left a small population that reacts to it as an attack on the body. But not everyone is convinced. “It’s wrong that we weren’t evolved,” countered Dr. Knut Lundin, a gastroenterology researcher at the University of Oslo in Norway. After domesticating cows and sheep in the 8th millennium B.C., it took humans just several thousand years to develop the enzymes to digest lactose, the main sugar in raw milk. “Evolution can be quite fast,” Lundin said. One thing is sure: Gibson’s research has raised entirely new questions about why so many non-celiacs claim to be sensitive to wheat, and given new respectability to their complaints in the face of those who dismiss the gluten-free craze as just a fad. In the meantime, while researchers struggle to reach a consensus on just how much of a widespread problem gluten really is to non-celiacs, the gluten-free product market continues reaching new heights of profitability — driving more than $10 billion in sales worldwide in 2013. Great article! In the case of my wife, an RD who has struggled with IBS for 20 years, gluten was definitely not guilty! She started on the low FODMAPs diet a year ago and the results have been astounding. Her IBS used to be so debilitating that it kept us from traveling, eating out, and at times even interfered with her career. Now she is in control, knows her triggers, and they appear to be more related to wheat and other FODMAPs than they are to gluten. This has been such a huge life changer for us that we’ve started an online company (the first and only to our knowledge) selling low FODMAP foods. Those interested can check us out at http://nicerfoods.com. Innocent until proven guilty huh? Well how about this, do you ever taken into consideration that our wheat is modified, sprayed, evolved into one of the worst toxins to ingest? I like how medical comes up with another name for people who have the intolerance. What about dairy? The made up name of lactose intolerance to people who lack the enzyme.. Like cow’s milk has nothing in it right??? Maybe it’s a combination of things. Maybe its the gut itself that is being compromised and it is starting to show in people more with immunocompromised systems. Medical doesn’t know what to do because they are not trained into understanding that alternatives like raw foods, cleaning the gut, getting to a cause, can actually heal the body instead of one main focus of a particular food. Their focus are drugs/crisis. Yes gluten contributes to issues in the gut, but there is a combination of things going on. Doesn’t it make sense to clean the gut first? It would be irrelevant to take out this and that without understanding how the gut works when it is full of toxins. Once we understand how these foods are making things worse for us then its time to take action. That is our immune system in our gut that is being compromised. I was intolerant to gluten, dairy..etc…I cleaned out my gut with an all natural diet, took out gluten, dairy..Im better. Medical doesn’t know what to do with us. Their biggest argument? There are not enough sufficient studies that prove that gluten and dairy can cause harm. Give it another 5 years max and you will see how many more people are going to get sicker. People like me with the weaker immune systems are just the beginning. It took me two weeks to get healthy once i figured out how powerful the human body is and that a combination method of exercise, raw foods, raw food supplements, and a healthy spine can save a life.